Cones of snow-white flowers make a stunning garden feature. Supplied as an established plant in a 9cm pot, ready to pot on or plant out. Reaching an ultimate height of around 1m high x 1.2m wide, your plant is sent as an established specimen in a 9cm pot ready for potting on or planting out. 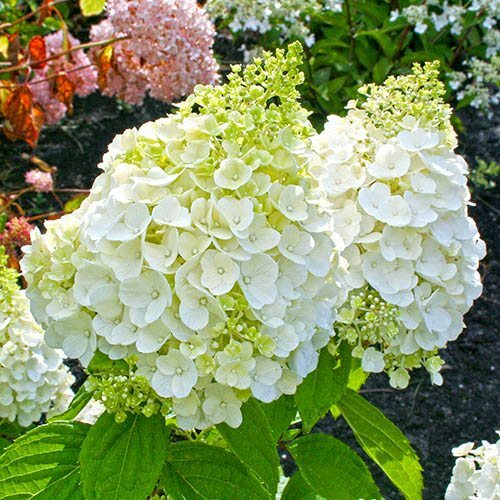 Easily kept compact by pruning, this will also help produce larger, if fewer, flowers. Pruning is easy: simply cut back last year's side shoots to within 5cm (2in) of the older wood in early spring. Water your potted plant well.